This week I wanted to share a new addition to Baked By Archana’s collection of recipes- a scrumptious carrot cake! Like most young adults and children, I was obsessed with chocolate and vanilla flavors for cakes, cupcakes and frosting. It was only after I took a baking class at the Institute of Culinary Education that I discovered that I prefer complex flavors that blend salty, sweet and sometimes even savory in my desserts. One of my hobbies is experimenting with gluten free baking. 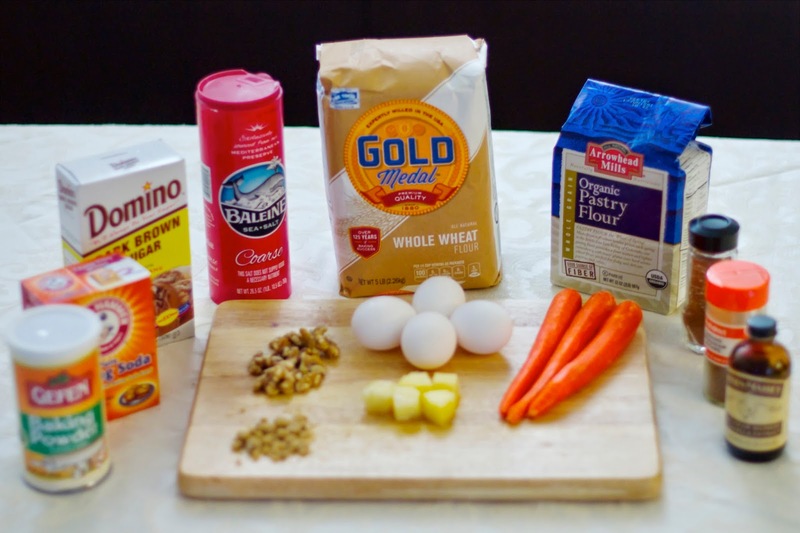 A new recipe favorite is Tone It Up’s carrot, apple and cardamom muffins, which uses brown rice flour and coconut palm sugar. They are AMAZING and HEALTHY. I realized then that I was clearly missing out on carrot flavored treats! 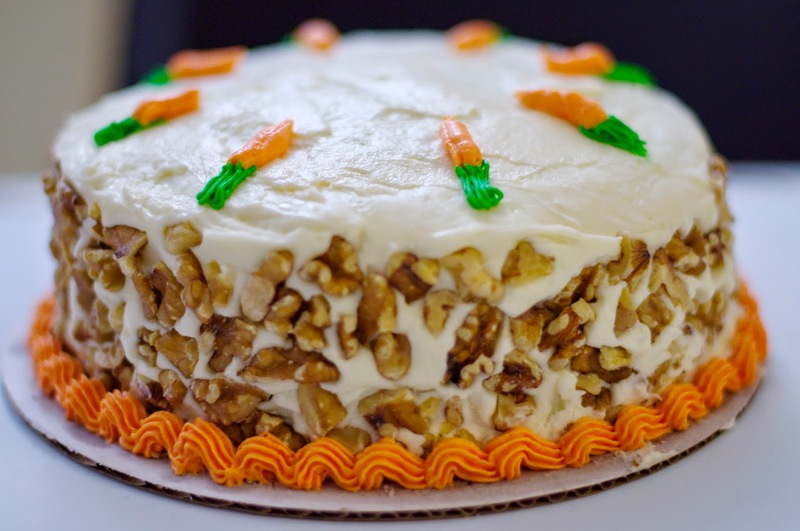 A friend asked me to bake a carrot cake using her mother’s recipe. I was excited to make my first carrot cake from scratch. When making this cake, there are some pieces of equipment that will facilitate the process. KitchenAid Stand Mixer. I LOVE this mixer and use it not only for baking, but also for making meatballs and burgers. You can use a hand mixer or even a standard whisk, but trust me, the KitchenAid will save you a lot of time. KitchenAid Rotor Slicer/Shredder attachment. You can use a regular grater, but the attachment shreds carrots quickly and it can go in the dishwasher. For this recipe, you will need THREE cups of carrots, so the attachment will be handy. Next Post Red, White and Barbecue!